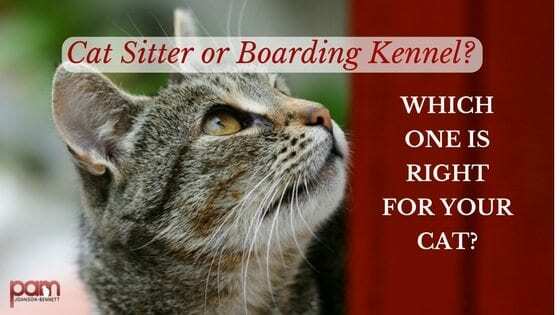 Cat Care | Should I Use a Pet Sitter or Boarding Kennel? Home > Family and Home > Pet Sitter or Boarding Kennel? 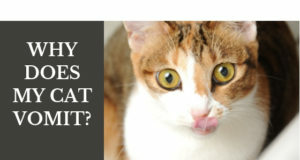 Which One is Right for Your Cat? Pet Sitter or Boarding Kennel? Which One is Right for Your Cat? We’re coming into that time of year when people start making their holiday travel plans. Whether it’s that eight-hour drive to spend Thanksgiving at Grandma’s house, or the flight planned in order to spend Christmas back home with your parents, you’ll also need to make arrangements for your cat. For some people, kitty will go where they go and for others, reservations are made at the local boarding facility. If your cat could make the choice though, I’d bet she’d prefer to stay in her own home while you go traveling off to various parts of the globe. Your cat, being a territorial creature of habit, is just as happy to sit out the holidays as long as it means she gets to sleep in her own bed and her dinner schedule doesn’t get interrupted. Unless your cat has been well socialized to people, travel and new experiences, the best option is to have a pet sitter or a trusted friend/neighbor come in and care for your cat. Don’t believe the things you may have read that cats can do just fine by staying home alone as long as you’ve filled up a mountain of food and a big bowl of water. Things can go wrong in a house with an animal left alone – whether it’s a major medical emergency, fire, flood, electrical failure or just a minor medical problem, you wouldn’t want your cat suffering because no one checked on her during your weekend spent out of town. Additionally, it can be very stressful for a cat to find herself completely alone in a quiet home when she has been used to you returning each day at a certain hour and also being in the routine of interacting with you several times a day. If you work from home or if there are multiple family members in the household then to have the house suddenly become empty and quiet can cause lots of confusion and anxiety. Too many people view cats as low maintenance and get them mainly because of the perceived convenience of not having to interrupt their lives too much. These cats are left alone for anywhere from just one night to four-five days. Imagine the risk these cat parents are taking with their cats’ health and safety. Now also imagine the anxiety these cats endure. Cats aren’t low maintenance substitutes for dogs and their health and welfare shouldn’t be compromised just so we can spend the weekend at the beach or off skiing. Previous: Is Your Cat Stressed Out? I care for cats and share this information regularly. Check with your vet for references. Make your kitties part of your travel plans.